Well, I did it...I got the next set of work out to my crit partners! This section is pretty rough so hopefully they don't think I'm a crap writer, but we shall see. I had a great weekend! It's very sad, but I don't think that I'm going to have time to put up the Christmas tree this year. I don't know...maybe week after next I might have a window of time. It just doesn't feel like the Christmas season without it to come home to. On top of that, our demon kitty, Skittles would love to climb in it. I'm glad that we have cheap ornaments. There is an element to my novel that is slightly "steampunk". Does anyone out there in blog-land have any good reqs for a steampunk novel? So people who are very busy are usually busy because they enjoy it. I'm busy and I enjoy it. This weekend is going to be so much fun. I get to spend time with a bunch of different friends...including attending a bachelorette party, ornament exchange party, cookie exchange party and my husband's work holiday party. I love the holidays. Also, I'm on track with my writing goals so that's good. I'm so excited for an excuse to bake Christmas cookies! By the way, I'm looking for one more crit partner if any of you out there are interested (a normal reviewer is good to, but I'd rather have a partner so I feel like I'm giving back). 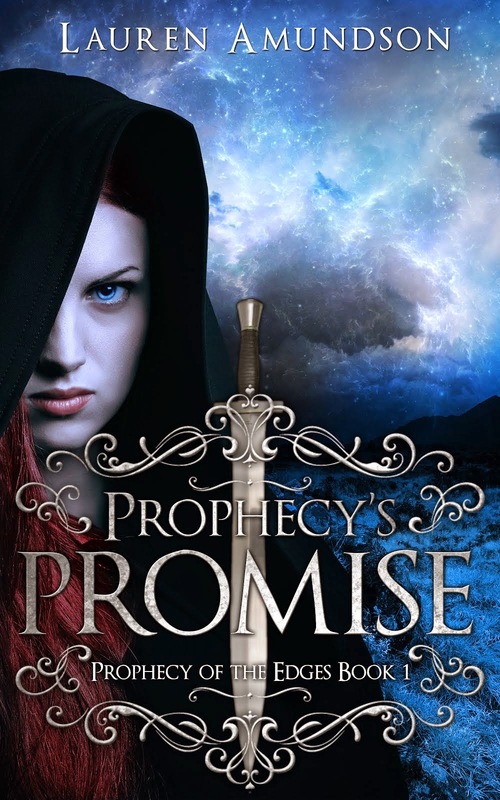 Prophecy's Promise is a fantasy novel written in first person. Hailey, wildly hailed as the smartest mind of her time prepares to take her Scholar Exam and pass into the ranks of the Learned--the youngest to attempt this one-time make-or-break Rite in recorded history. A week before the Exam she has a prophetic dream. Now she must give up everything that she knows in order to help save all humanity from being consumed by their dying world. Problem is that she's spent her life training how to record history, not how to make it. One thing Hailey will learn is that everyone--uncle, father, lover and friend-- is just out for themselves, even when it comes to the end of the world. Let me know if this project sounds interesting to you and if you want to help me! I had a writing vacation and now I am back! I don't feel any less blocked so no more breaks. They don't work for me. Everyone works differently-- I am very goal-oriented and I need small milestones to keep me motivated and productive. I have mini-chapters. They run between 800 and 1600 words. The chapter numbers aren't as much my goal as the word count. This is pretty mutable, but here is the basic idea. Does anyone else out there have any specific goals? How do you motivate yourself to work on your book? Total means total word count to the end of the section--lower drafts that are downstream from the section don't count into the totals. I hope that all of you in blog-land had a great Thanksgiving! Mine was relaxing in comparison to my normal schedule. We went down to Indianapolis. It was nice to visit with the family and play with my nieces and nephew. I made a cream-of-butternut-squash-and-apple soup, shortbread pear tarts and pumpkin whoopie pies. Well, the whoopie pies were the day after with my sister's kids. It's our thing. I bring over an interesting recipe and we bake together. I do miss Indiana... Who knows, maybe I'll move back one day.